I was leading a Geology Hull first year fieldtrip to Filey on Thursday, in the teeth of a gale, barely able to be heard above the wind, barely able to see the cliffs through the clouds, barely able to get to the rocks because the waves were too high, the students struggling gainfully to begin collecting geological data, wondering what it was we were hoping to achieve. And then the wind dropped, and the clouds broke, and the sun came out, and the geology began to reveal itself – Ice Age tills full of exotic erratics; karst pavements on the wave-cut platform; giant storm-tilted boulders of sub-tropical Jurassic limestones, each latticed by a fabric of cemented lobster tunnels – and I suddenly paused, and wondered. The geology of the Yorkshire Coast is amazing, astonishing, stupendous: why isn’t it a UNESCO World Heritage site? Just look at the burrows on that! Dr Richard Callow admires the amazing Thalassinoides trace fossils of Filey Brigg. The Jurassic Coast World Heritage Site of Devon and Dorset is fantastic; this is not a competition. But the Yorkshire Coast is easily its equal. The geological, geographical and biological treasures it contains are just as diverse and significant, yet are offered up so much less easily, or obviously. Northerly, east-facing, precipitous, cool, dark, crumbling, brooding: this coast seems to reflect much of the local character. Yet at the same time it has uniqueness and richness, quirks and complexity; great warmth and wonder for those who choose to embrace it. 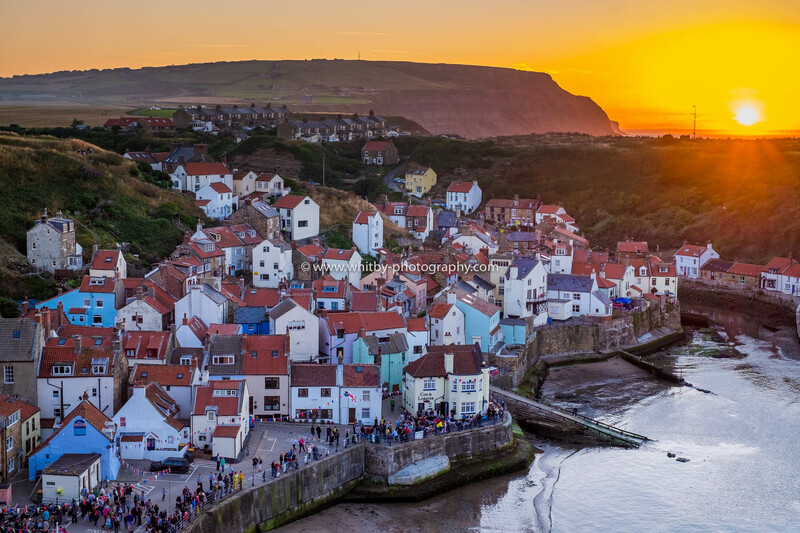 There can be few more picturesque coastal villages in Britain than Staithes, there can be few grander panoramas in the country than Scarborough’s South Bay, there can be few finer coastal cliffs than those of Flamborough Head. Come on, UNESCO! Get your act together! One way or another, 1988 was a momentous year for geology collections in the city of Hull. 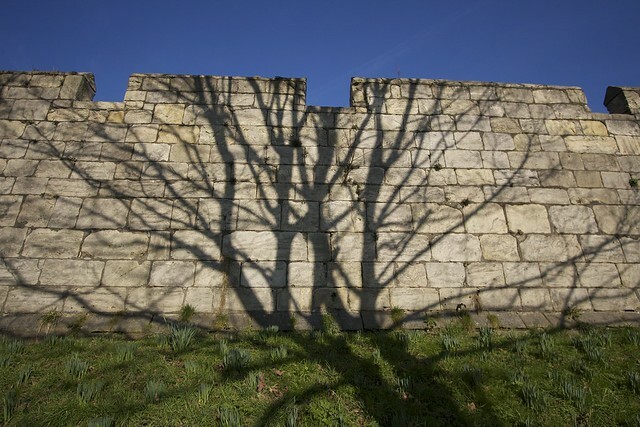 In March of that year, it was announced that – after a contentious government review – the Geology degree programmes at the University of Hull would cease. Most of the university’s rock and fossil specimens would move to other universities. Based on this map from the UGC Earth Sciences Review, it’s easy to see how the Hull fossils ended up lost. Then, in October 1988, workmen digging a drain in a central Hull car park stumbled upon some mysterious artefacts, including dinosaur bones. These turned out to be the remains of the basement of the city’s old Municipal Museum, destroyed in a World War Two air raid some 45 years earlier, and a project to reclaim the specimens took place the following year. Thirty years on, now that geology degrees are back on the menu at the University of Hull, I have helped us reacquire thousands of our old specimens from the University of Oxford Natural History Museum. Now, my project “Back From The Dead: Uncovering the Hidden Histories of Hull’s Lost Fossils“, funded by the Ferens Education Trust, aims to begin telling the stories of the specimens, their collectors, and the places they came from. Something rather similar happened at the Museum of Somerset a few years ago. As the chief organizer of the 2018 Yorkshire Fossil Festival, I ought to have been doing a lot more promotion of the event, which is now less than 3 weeks away. Still, better late than never. The Palaeontological Association will be 1) letting you make your own salt dough fossil; 2) taking you swimming* through a Jurassic sea; 3) playing the fossilization board game; and 4) having the brilliant palaeo-artist James McKay bring your fantastical fossil creatures to life! University of Hull Geology group will be ‘Uncovering the Hidden Histories of Hull’s Lost Fossils’ (supported by the Ferens Education Trust) and also panning for gold! Jordan Bestwick and colleagues from the University of Leicester will be showing how fossil microwear can tell us about palaeo-diets, possibly with a sandpit too. The Palaeo@Leeds team from the University of Leeds will be playing mass extinction darts! The Yorkshire Museum science team will be exploring Yorkshire’s Jurassic World. 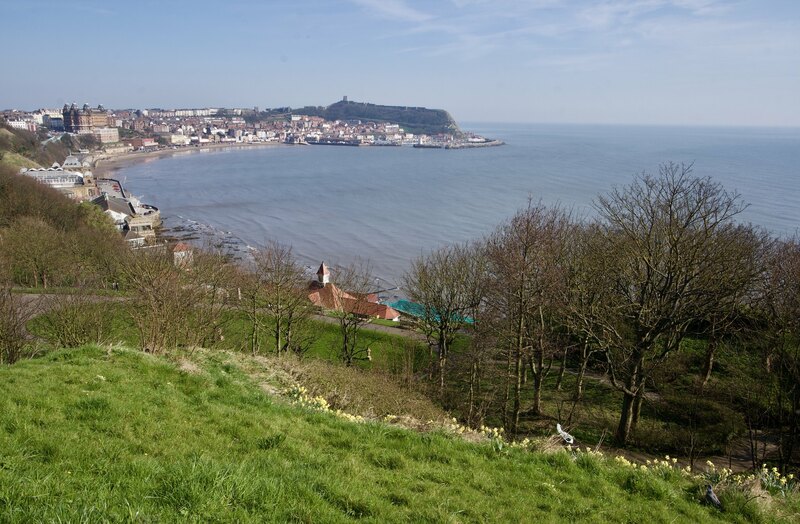 Hidden Horizons and the Scarborough Museums Trust will be taking you hunting Dinosaurs At Dusk. Oxford University Museum of Natural History will show off the amazing fossil insect discoveries of East Yorkshire’s Hugh Edwin Strickland. Yorkshire Geological Society will be bringing their rock saw, so if you’ve any rocks or fossils that you’d like to have cut and polished by the YGS teams, bring them along! The Dinosaur Isle Museum and the University of Sheffield will also be taking part, but I can’t reveal their activities yet. Watch this space (and book your place to attend the Fossil Festival here)! The Iapetus Suture on the Isle of Man.